I’ve been tagged by a couple of people so I guess I’d better join the party. Here are five things you probably didn’t know about me unless you are related to me. The main reason I picked Arizona State University for my degree in Geography was the golf course. 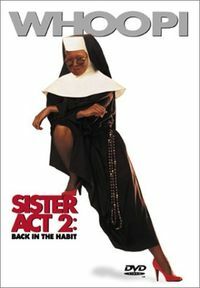 I was an extra in Sister Act 2: Back in the Habit. The only state I’ve never been to is North Dakota. My bachelor party was held the night before my wedding (due to scheduling conflicts on my part). I was dunk as a skunk and called my wife at 3am the morning to tell he how drunk I was. I was hung over and was unable to drink the champagne toast (my brother smartly put ginger ale in the glass). OK, I’m going to tag Steve, Sean, GeoMullah and Chad.